Economic development: low demand and purchasing power reduce profit and increase investment return period. But what about a new, innovative approach to bring Internet access to rural areas in Vietnam, like combining new WiMAX wireless technology with the existing TV over-the-air broadcasting infrastructure? This approach could enable the delivery of last-mile access to many end users over a large coverage area with a much lower cost. That’s the idea that Dr. Nguyen Van Hoang and his colleagues at Bac Ha International University tried recently to turn rural areas into an attractive investment for ISPs and bridge the digital divide in the rural areas of Vietnam. As you can see from the diagram above, they sought to allow WiMAX to be “piggy-backed” on the existing UHF TV broadcasting in the frequency range where TV programs are not available and frequency channels are not currently used. This promises an operating cost sharing between television industry and ISPs, eliminating the initial setup cost of network equipment (i.e. base station site construction and/or leasing), which ISPs normally incur. Operating at lower UHF bands allows a larger coverage area per base station and a smaller number of base stations over a similar coverage area. In his WiMAX/UHF TV trial, Dr. Hoang found a sub-GHz WiMAX system with transmitting antennas mounted on a TV broadcasting station between 30m to 60m in height can reach a maximum distance of 37km in line-of-sight condition. In both cases where directional and omnidirectional antennas are used, a sub-GHz WiMAX system operating at 450 MHz increases the range of coverage four-fold, compared to a typical WiMAX 2.5GHz system. This translates to a reduction of 4X to 16X number of required base stations for the same coverage. As a result, the capital expenditure to deploy and operate such system in a given area reduces proportionally by 4X to16X. So while the technology worked, the business model had a major problem. Dr. Hoang verified a high level of demand (88%) for broadband WiMAX Internet service in Bac Ninh city, a rural area in Vietnam, with an affordable rate of VND 150,000 (approximately USD 7.80) per month for residential and VND 300,000-500,000 per month for commercial Internet service. Yet, the total equipment cost of such a sub-GHz WiMAX system consisting of 1 base station and 4 subscriber stations (used for a sample calculation) is less than USD 30,000 and the base station equipment represents 90% of this cost. 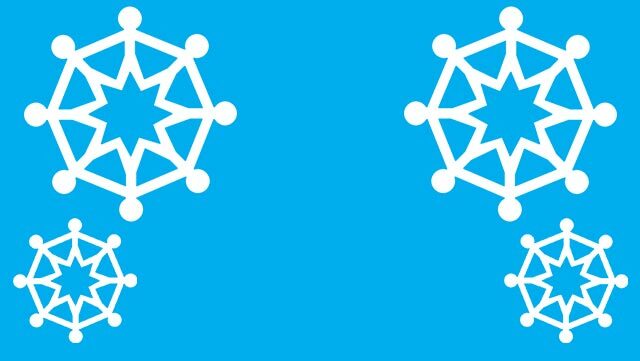 Under an agreement with a TV broadcasting provider, it may be possible to share other costs, such as tower and maintenance. Larger coverage areas and lower capital expenditure are highly attractive to service providers. Still, a subscriber station (end user) modem currently costs almost USD 690 and this high price remains a technological and economical challenge for this technology from the user’s point of view. Even if service providers gave incentives or provided flexible renting plans to users who sign up for broadband service, the cost is out of range for rural users this system targeted. 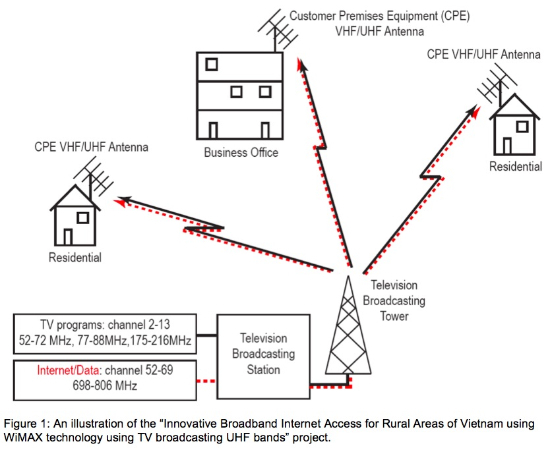 This post is derived from Innovative WiMAX Broadband Internet Access Final Technical report by Dr. Nguyen Van Hoang of Bac Ha International University.